The ‘2011 Asia Song Festival‘ will be held on October 15th at the Daegu Stadium at 6PM KST. It has been reported that 13 teams from 6 countries, including Korea, Japan, China, Taiwan, Hong Kong, and Thailand, will be present for the event. The three Kpop idol groups who will be representing Korea will be Super Junior, SNSD, and B2ST. Furthermore, Super Junior’s Donghae and SNSD’s Seohyun will be performing a live duet for the theme song, “Dreams Come True“. All sales from the theme song’s digital single will be donated to UNICEF. Lee Seung Gi will also be making his appearance along with Miss A who will be attending as ‘Asia’s Best Rookie‘. U-Kiss and G.NA will be participating at the event as ‘Asia’s Influential Artists‘. 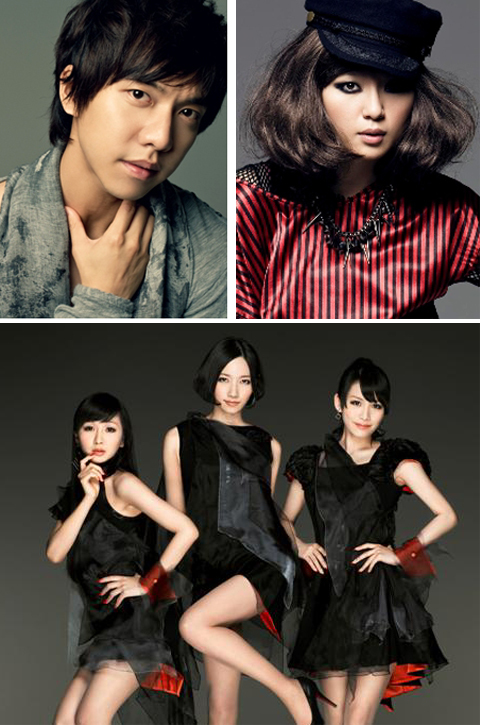 As for Japan, tecktonik-pop group, Perfume and dance group, AAA will be representing the nation. Meanwhile, Peter Ho from Taiwan will also be making an appearance along with Hong Kong’s Leo Ku. Other artists include Thailand’s Tata Young and China’s Zhou Bichang.